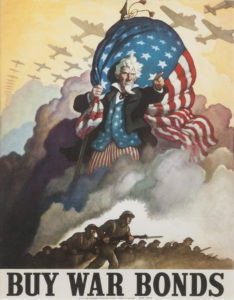 On February 13, as part of Opening Nights, the Museum of Fine Arts will open a spate of new exhibitions drawn from the Institute on World War II titled “The Human Experience.” Additionally, MoFA will also welcome the Collections of Dr. Patrick M. Rowe: Bill Mauldin prints and drawings and World War II propaganda flags and posters. In planning since 2013, the Writers’ Weekend has been arranged by Dr. Kurt Piehler, Director of the Institute and is free and open to the public. BUY WAR BONDS, attributed to N.C. Wyeth, 1942, United States Government Printing Office. Collection of Patrick M. Rowe. The World War II Writers’ Weekend is a free public event including talks and book signings by authors of a range of works on World War II. Speakers include Robert Gellately (Stalin’s Curse), Michael Neiberg (The Blood of Free Men: The Liberation of Paris) and Whitney Bendeck (“A” Force: The Origins of British Deception During the Second World War). In celebration of Valentine’s Day weekend, FSU students will read some of the unpublished love letters from the World War II generation that are part of the collections of Florida State University’s Institute on World War II and the Human Experience. (Please see the event dates and times on the MoFA website). 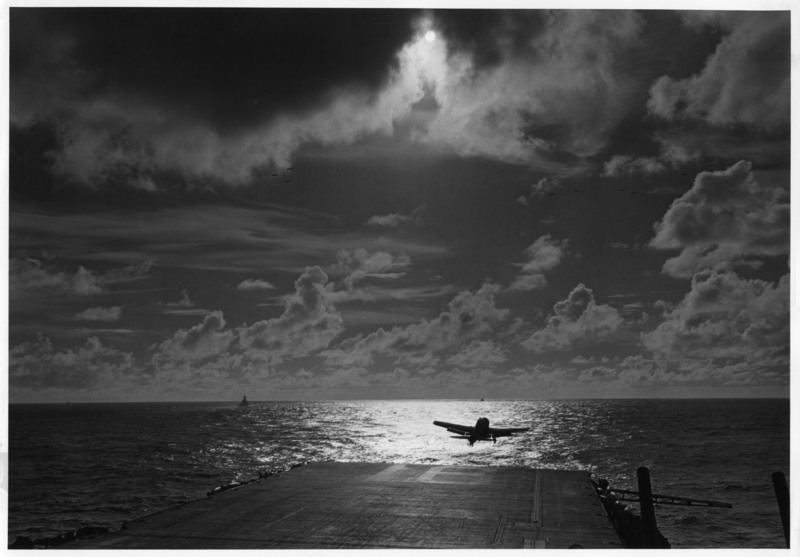 Walter J. and Elaine Duggan Collection photograph with a Navy stamp on the reverse indicating the location is the USS Lexington somewhere in the Pacific and the aircraft is a Grumman Hellcat: the photograph was shown at the Museum of Modern Art, New York City, in 1945 in the Navy exhibition Power in the Pacific. Walter J. and Elaine Duggan Collection of the Institute on WWII, Florida State University. Museum Hours: 9-4 pm M-F; Sat. & Sun. 1-4 pm. Hours vary during Spring Break: closed weekends March 7-8 & 14-15. Weekdays during Spring Break: 10am-3 pm daily. For tours call 850 – 645 – 4681. All exhibitions & receptions are free & open to the public. This Program is Sponsored in Part by: The Florida State University Art & Humanities Program Enhancement Grant; The City of Tallahassee State Partners Initiative and the Leon County Cultural Development Program, both administered by the Council on Culture and Art; The 2015 Peace on Earth Gift; and with the support of the 2015 Opening Nights Festival.